I woke up this morning, well, actually an earthquake woke me up this morning, and I decided I need a change, some purity and a little clarity into what my purpose in life is. It’s time for some healthy and spiritual healing. So I am embarking on a 12-day cleanse and I plan to chronicle my journey. 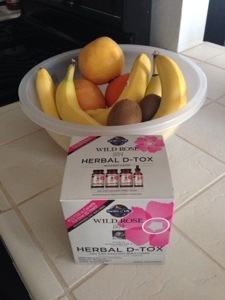 I decided to go with this herbal detox because I wanted to cleanse the ENTIRE body. There may be a lot of capsules involved and extracts, but the diet plan seems simple and easy on my budget. This detox and diet buddied with a regular workout routine shall get me back in tip-top shape! Wish me luck as I prepare to turn around the bad habits I have been allowing myself to indulge in over the past few months.